Elizabeth that came out so well. It's gorgeous! I love the purple choices here. The floral design is gorgeous! Oh my goodness these are just absolutely adorable!!! I love the purple monochromatic of this! Your grandmother sounds like she has exquisite taste ;). But these are just divine! 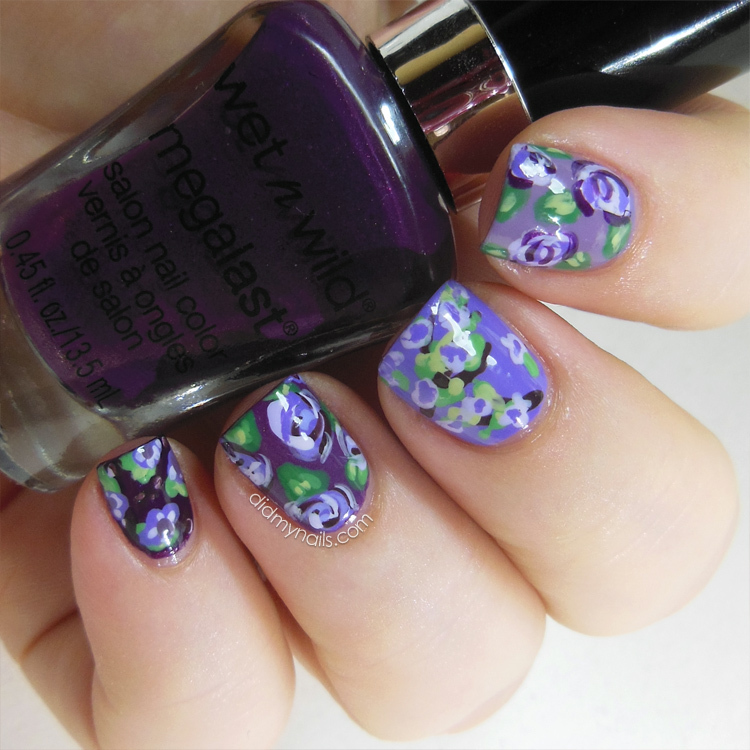 The design is very pretty and the different shades of purples look amazing together! Beautiful little flowers!! 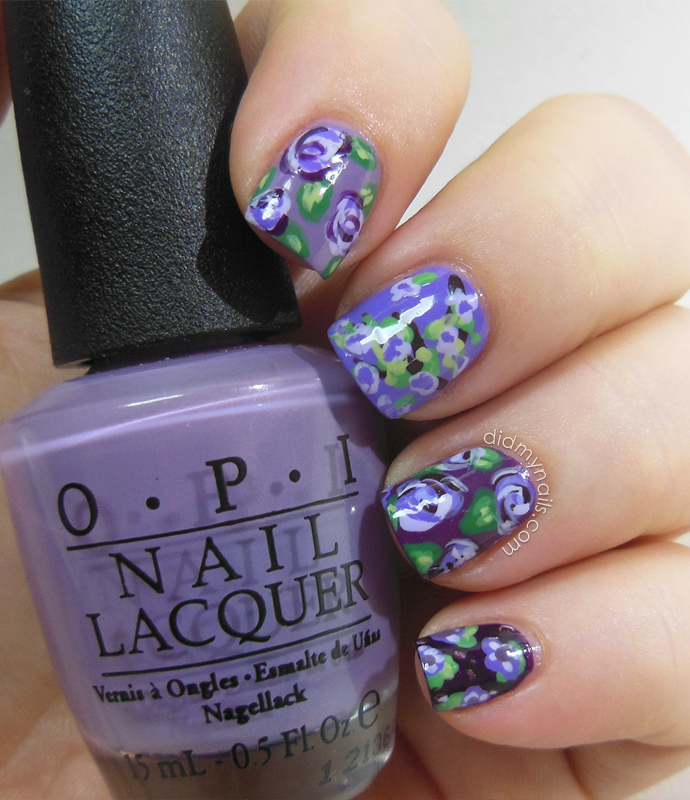 I always love your flower mani's. Aw that's sweet! Gotta love purple!